Bausch and Lomb's Recugel eye gel is similar to eye drops, but its gel formula provides longer-lasting efficacy. Recugel refreshes and soothes dry, irritated eyes, and also stimulates the regeneration of cells to restore corneal structure. 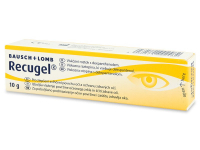 Recugel relieves common eye fatigue and irritation due to many factors, including long-term computer work and exposure to extreme environmental conditions (frost, wind, air conditioning, et­c.). 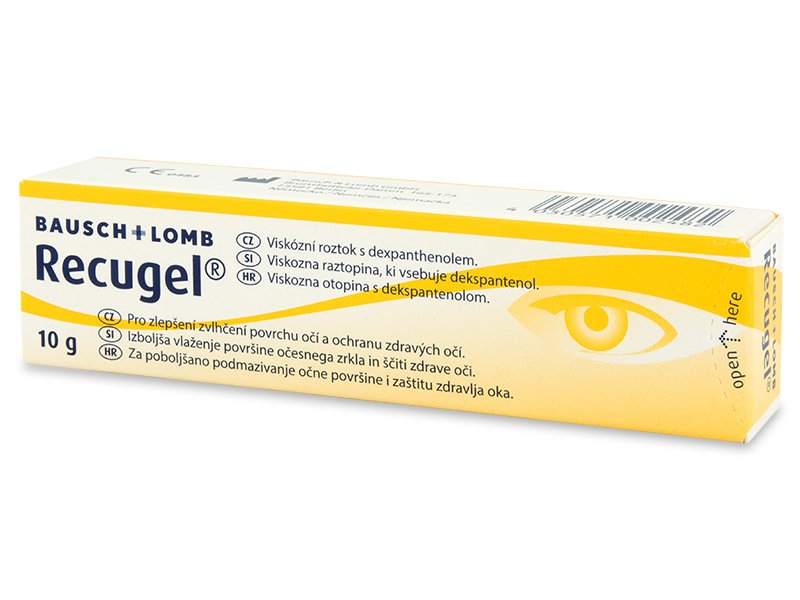 Recugel contains the active ingredient dexpanthenol, which helps prevent scar tissue from forming on the cornea after eye injury or surgery. It’s especially effective in promoting corneal healing in the event of burns, LASIK and PRK operations, damage caused by foreign bodies, or corneal inflammation. The gel can be applied 3–5 times a day, as needed. Apply 1 drop of Recugel into the conjunctival sac – the space between the eyeball and the lower eyelid. Lightly pull the lower eyelid downward, apply the gel, and blink to administer the gel. Due to the thicker, gel composition of this product, caution should be exercised when driving and operating machines, as the gel may cause blurring of vision. It is not advisable to apply the product while wearing contact lenses. Recugel contains cetrimide, which is a preservative. Therefore, this product should be discarded one month after first opening. Discover other products from Bausch and Lomb here. I've found this quite helpful, although you do need to wait a few minutes for your vision to return to normal. Despite this, it lasts longer than regular liquid drops. Hi, Kim, Yes, this is a long-lasting eye gel. Unfortunately, we do not offer a preservative-free option at this time. Hello, As i would like to order quite a few, could you kindly tell me the expiry date. Thank you! Hi, Ermanno, Thank you for your recent comment. Eye gels usually last 1–2 years from manufacture. Please feel free to contact us should you have any further questions! Hi, Paul, Thank you for your recent comment. Unfortunately, we are currently EU based and do not yet ship to Peru. However, we are growing rapidly and always looking to expand, so hopefully we'll have better news for you in the near future :) Please feel free to contact us should you have any further questions. does this come with english instructions for use? Thank you for leaving a comment. If you require any additional instructions, please contact our customer service team and they will be able to assist you further.